Governor Rauner announces borrowing plan to pay down bill backlog. After conducting a thorough review of the out-of-balance fiscal year 2018 budget passed by the General Assembly in July, Gov. Bruce Rauner announced Thursday that he intends to exercise borrowing authority to issue $6 billion in bonds to pay down a portion of the state’s bill backlog. 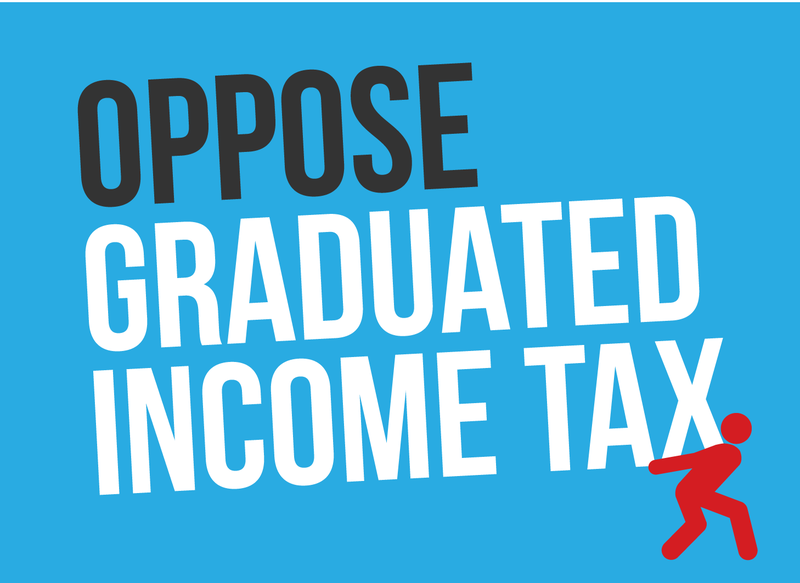 “Illinois has been deficit spending for many years, resulting in a huge unpaid bill backlog. The state has been, in effect, borrowing from local service providers, including nonprofits and small businesses, because it takes months for them to get paid,” Gov. Rauner said. “My preferred solution has always been for state government to reform its spending, and for a strong, competitive economy to grow family incomes faster than the cost of government. A significant portion of the bill backlog is currently subject to late-payment interest penalties at rates of up to 12 percent annually. The governor directed his staff to initiate a bond issuance to refinance this high-cost debt by borrowing from banks at a much lower interest rate, which will result in considerable savings to the state. The General Obligation Bond Act was amended by the legislature as part of the fiscal year 2018 budget package. It grants the state the authority to issue up to $6 billion in general obligation bonds as Income Tax Proceed Bonds. The Income Tax Proceed Bonds must be issued before Dec. 31, 2017, and must be used to pay for expenses vouchered from general funds or state employees’ group health insurance costs that were incurred before July 1, 2017. Bonds issued under this authority must be paid within 12 years from the date of the sale and require level principal payments each year. For example, a $6 billion issuance would require 12 annual principal payments of $500 million, plus interest payments depending on the interest rate. The legislature-passed budget did not account for the increase in debt service costs to cover the bill backlog bond issuance. The governor’s office is identifying several hundred million dollars in possible spending reductions to address this budgetary shortfall. The governor also would like the General Assembly to return to Springfield this fall to work with him to balance the budget and enact structural reforms that could save much more. Commission on Government Forecasting and Accountability (COGFA) submits revenue report for August 2017. As with July, Illinois base general funds revenues sharply increased. Paced by income tax revenues from the July tax hike, general funds rose $814 million in August 2017, net of proceeds from interfund borrowing. The COGFA report can be found here. The FY18 budget also took advantage of a series of one-time moves to further leverage the State’s cash flow. Transfers totaling $150 million were notched in proceeds from interfund borrowing, and $126 million was swept from various State funds. Two areas of State tax revenue are showing sharp declines on a year-over-year basis. Cigarette tax proceeds were down 11.8% in August 2017, from $34 million to $30 million, as smoking continues its multi-year decline and remaining smokers source more of their tobacco from neighboring states. Riverboat casino transfers and receipts fell 26.5%, from $34 million to $25 million, as slots players continue to move their play from Illinois’ ten riverboat casino floors to the distributed play opportunities created by storefront “video games.” This movement of slots play from riverboats to video games is significant with respect to State general funds, as part of Illinois’ riverboat tax revenues are deposited in the State’s general funds while all of the taxes the State gets paid from video games are allocated to capital spending – items, such as the reconstruction of Illinois roads and bridges, which are paid from capital funds rather than general funds. Oil and gas fracking to get tryout in Illinois. The first Illinois-granted drilling permit incorporating fracking technology has been granted to Woolsey Operating Company. The permit, granted on August 31, is tied to a site in White County, a rural county in southeastern Illinois. News of the permit was released to the industry this week. Fracking technology has been slow to get started in Illinois due to the recent downturn in fossil-fuel energy prices. Many of the jobs created so far by fracking operations have been allocated to North Dakota and Texas, which are traditional energy states. Geologists say, however, that Southeastern Illinois shale contains a rich treasure of unexploited oil and gas. 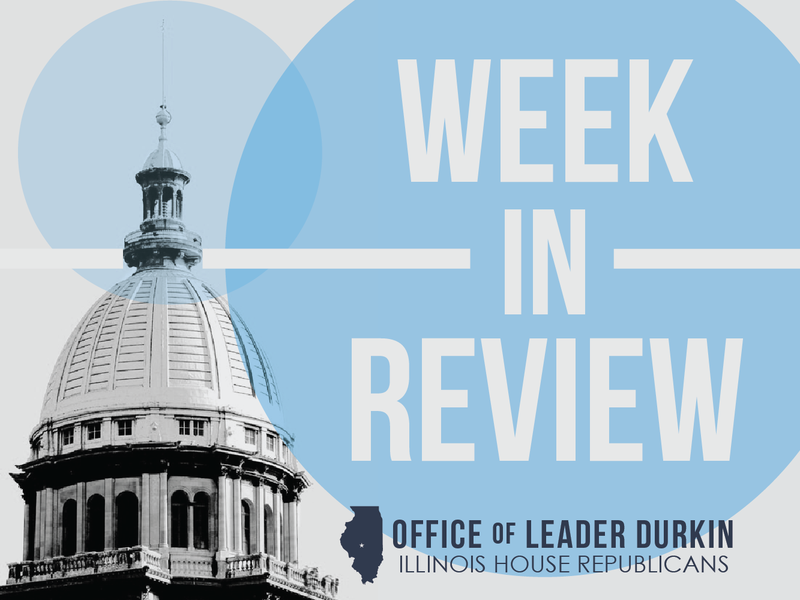 With active help from House Republican Rep. David Reis, who represents White County, the General Assembly enacted key legislation in 2013 to pave the way for fracking in Illinois. Woolsey has told the trade press that they plan to drill an exploration well in White County by the end of 2017. Governor Rauner signs executive order creating task force to fight opioid crisis. Gov. Bruce Rauner Wednesday signed Executive Order 17-05, creating the governor's Opioid Overdose Prevention and Intervention Task Force. The task force will be co-chaired by Lt. Gov. Evelyn Sanguinetti and Dr. Nirav D. Shah, director of the Illinois Department of Public Health. The task force will look at strategies to prevent expansion of the opioid crisis, treat and promote the recovery of individuals with opioid-use disorder, and reduce the number of opioid overdose deaths. "The opioid crisis in Illinois affects people from all walks of life ─ small towns and big cities, the wealthy and the poor, young and old. Without treatment, people suffering from opioid-use disorder risk dropping out of school, losing their job, becoming homeless, losing custody of their children, or getting arrested," Gov. Rauner said. "This is not a problem that government, health care, police, schools, communities or others can solve on their own. We must all work together. Today, I am creating and charging the Opioid Overdose Prevention and Intervention Task Force to develop a comprehensive strategy to stem the tide of the opioid crisis in Illinois." Since 2013, the number of heroin overdose deaths in Illinois has doubled, and the number of opioid overdose deaths has quadrupled. More than 1,900 people in Illinois are expected to die of opioid overdoses this year ─ more than one-and-a-half times the number of homicides and almost twice the number of fatal motor vehicle crashes. Between 2013 and 2016 in Illinois, total drug overdose deaths increased by almost 50 percent, overdose deaths involving opioids increased 76 percent, and overdose deaths involving synthetic opioids (such as fentanyl) increased 258 percent. "The opioid epidemic knows no neighborhood, no color, and no class. It is not confined to alleys in urban settings, nor isolated in rural communities," Lt. Gov. Sanguinetti said. 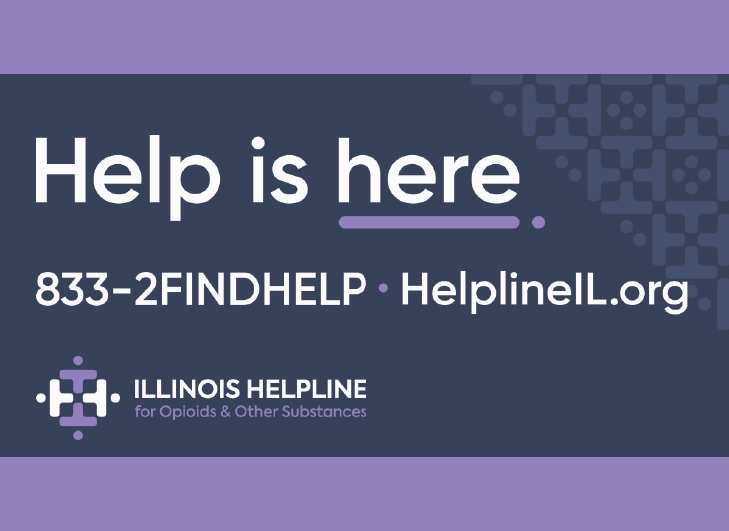 "Illinois needs a comprehensive opioid strategy that destigmatizes addiction and appropriately aligns resources across state agencies in partnership with community priorities." "The opioid crisis in Illinois is not something that we can arrest or even treat our way out of," IDPH Director Shah said. "Active collaboration and engagement with state agencies, elected officials, the medical community, providers, insurers, educators, law enforcement, patient advocacy organizations, and the public will be critical to our success." Members of the Task Force will include officials from the Office of the Lieutenant Governor of Illinois, Law Enforcement Training and Standards Board, Illinois Criminal Justice Information Authority, Illinois State Police, and from Illinois Departments of: Financial and Professional Regulation, Human Services, Public Health, Juvenile Justice, Insurance, Corrections, and Healthcare and Family Services. September marks early Canada goose season. The Illinois early season for harvesting the honkers is September 1 through September 15. While Canadian geese used to be scarce in Illinois and other Midwestern states, changes in geese habitats and feeding patterns have created a population explosion among the large birds. The Illinois 2017 dove hunting season also opened on September 1 and is set to close on November 14. Illinois National Guard extends aid for Hurricane Irma. An Illinois National Guard C-130 cargo plane, equipped to carry equipment used by many disaster first responders, has been deployed in Florida. The mobilization follows the dispatch of an emergency response team from Illinois to the Houston area in the wake of Hurricane Harvey. The Illinois National Guard has stated that their personnel have rescued more than 60 people who had been made homeless or otherwise endangered by the Texas tropical storm. The U.S. Department of Defense reports that more than 45,000 National Guard members from all 50 states are currently deployed worldwide, including more than 19,000 in Southeast Texas. Several Illinois House Republicans join multistate effort to end political gerrymandering. Almost all U.S. legislative bodies – the U.S. Senate is one exception – are elected by equal-population districts. This constitutional protection that equal-population districts create in defense of voters’ rights is being drained away by politically-motivated mapmaking. The purpose of these redistricting maps is to ensure that the political party that drew the maps will win the election, no matter what kinds of ballots are cast by the voters. 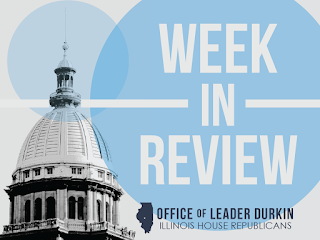 House Republicans have fought against gerrymandering since the enactment of the most recent Illinois legislative map in 2011. The Democratic majorities in both houses of the General Assembly, and Democrat-leaning state Supreme Court, have blocked the enactment of fairer maps or the ratification of a Fair Map state constitutional amendment. Now, however, a lawsuit called “Gill v. Whitford” is heading for argument before the U.S. Supreme Court. The lawsuit argues that the act of drawing political lines to “pack” voters of the other political party into a minority of districts is federally unconstitutional, and must be struck down in every state where it is practiced. In support of this contention, 65 state lawmakers of both political parties have co-signed a legal brief. When this brief is filed with the Supreme Court, four Illinois House Republicans – Representatives Mike Fortner, Jeanne Ives, David S. Olsen, and Bob Pritchard – will be on record with the nation’s highest court in defiance of Illinois’ habit of political gerrymandering. The case will be argued before the Supreme Court on Tuesday, October 3.